Elvis - Live - GTS Theatre - Official Website & Home to the Original Award Winning Motown Tribute Show, Men of Motor City, Dixie Comedy & Variety Show Redneck Style, Elvis Live Starring Alex Michell, Whitney Houston Tribute Show starring Kellie J, Cirque du Canines - Dog Circus, Magic & Comedy Show - Starring Michael Bairefoot. Come relive the magic and charisma of the concert years of Elvis Presley! In 1969 the “King of Rock & Roll” returned to the concert stage in Las Vegas after a 10 year movie career. Performed by multi-award winning tribute artist Alex Mitchell, this concert will take you through a vast catalogue of “The King’s” greatest hits including; “Teddy Bear”, “Suspicious Minds”, “All Shook Up”, “The Wonder of You” & many more! Alex Mitchell is a WORLD CHAMPION Elvis Tribute Artist from Myrtle Beach, South Carolina. He has been performing his multi-award winning tribute to the King of Rock & Roll for the past 9 years across the country. Don’t miss this authentic and family friendly show paying tribute to the music and legacy of the worlds greatest entertainer! 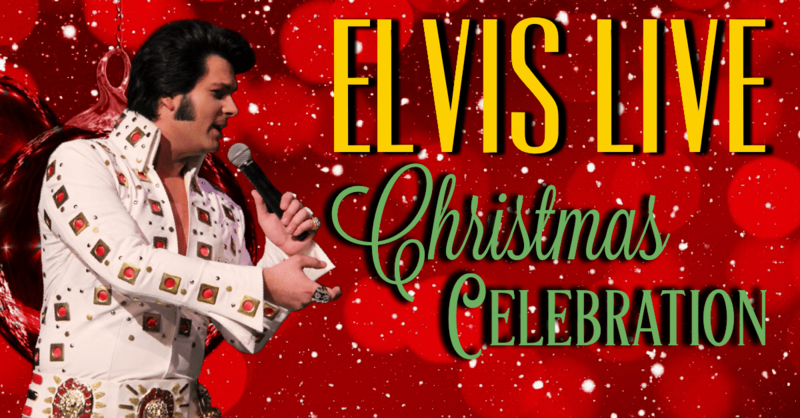 Elvis Live is a specialty performance appearing at GTS Theatre – Sorry No Discounts are accepted for this performance. Note: You will not need to print your tickets. You may show the tickets on your phone. All Seating is first come first ordered. The earlier you book your tickets the better the seats you will have. Always arrive to GTS Theatre at least 20 minutes prior to showtime.